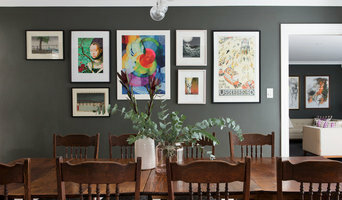 Mos is an interior design, decorating and property styling firm servicing Melbourne. We are a studio developed from the idea that prioritising the human experience when creating a space is of the utmost importance. Our services include property styling, interior design & decoration, interior styling and event styling & co-ordination. At Mos Interiors, we take pride in knowing who you are to create a space that is a reflection of your unique lifestyle. Creating a trusting and kind client relationship is the key to ensuring my clients always feel that they are heard and that my ideas are based purely on their needs. We work closely with you from the very beginning to create spaces and environments that are visually stimulating and resolved. Interior Design Service - We offer a full interior design service to residential and small commercial clients. 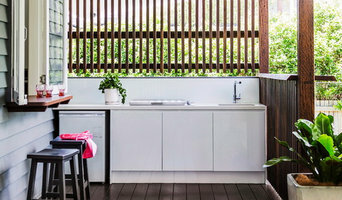 Services include concept design and space planning, interior finishes and materials, custom joinery, upholstery, lighting and furnishing as well as project management. Penman Brown Interior Design, directed by Megan Brown, focuses on complete interior design projects. I've always had a passionate relationship with art, design and interiors. For over 20 years I have studied and explored the effects objects and environments have on our feelings, emotions and memories. Our desire to enhance our surrounds is innate. Creating beautiful, meaningful living spaces, that are reflective of who we are, enriches our lives. With a love of travel, my design aesthetic is constantly informed by new people, places, cultures, history and ideas. Travelling, working and living in North and South America, Europe, Asia and Africa has given me a deep appreciation of individual and cultural expressions of home. An informed eye and awareness of global trends, combined with the understanding that each client’s vision of home is unique, inspires an exciting and original design narrative. If home implies a sanctuary, I look to satisfy the most fundamental requirements of tranquillity, comfort and warmth whilst still imbuing a home with an adventurous undercurrent. I strive to create beautifully considered, timeless interiors that blur boundaries between past & present and believe my talent lies in the ability to juxtapose many disparate elements. In practising design, I focus on the details of scale, proportion, light, movement and composition - making my starting point the architectural style of a space. Then, with a clear understanding of the client’s needs, a plan is developed for interior and furniture configurations, textual finishes and colour palettes. The interiors are highlighted with beautifully finished and detailed bespoke furnishings created using superior materials and specialist craftsman. We create high quality and original work that lasts. Good customer service is key. My reputation has been founded on word of mouth and is how I obtain my clients. The pleasure and inspiration a beautiful and functional home adds to my client’s lives, and the people they share it with, is my life’s passion and the measure of my success. 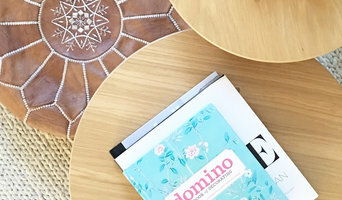 Hi, I'm Emma Blomfield, interior stylist and author based in Sydney. I specialise in affordable and personalised decorating. 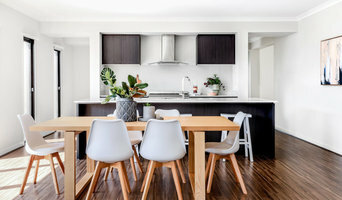 I can help decorate your home anywhere in Australia thanks to an innovative online decorating service called e-Decorating! 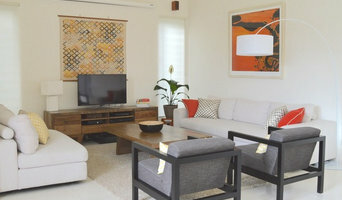 I also provide a range of interior decorating and design services to anyone located in the Sydney Metro area. I travel the country running decorating workshops in rural areas resulting in a day of decorating and styling fun for homeowners across the country. Studio Ezra is a multidisciplinary Interior design practice led by director Georgia Ezra. Looking at each project as unique, Studio Ezra prides itself on its creativity, level of high details and the approach to each design, giving attention to the specific client and brand needs. We like to embrace the aesthetic and subjective style of each client, working closely with them to create an outcome that is unique yet timeless. Bringing out the creativity in all to recognize that there is no such thing as right or wrong design. Just your design. Studio Ezra provides a holistic approach when designing a space, allowing for the client to walk away with a complete package. Placing great emphasis on every aspect of the space and how it affects the brands and clients’ needs – from the interior design, to the scent of a room, to the music that is played and to what your employees wear, one can expect an experiential result. Exploring ways to look outside the conventional box, we intend to scrutinize the interiors by using concepts to inform the space. Concentrating largely on custom made design and placing incredible attention to detail, one can expect a final product of great quality and exclusivity.